We all have different reasons why we go for a vacation. It could be to immerse in a relaxing place, experience a unique culture or just simply to unwind after a grueling week at work. Whatever those reasons are, vacation can also provide more than just tons of breathtaking photos and souvenirs from an unforgettable trip, but it can also enhance your health and overall outlook in life. If you want to experience a getaway that can give you a deeper level of relaxation and better health for your mind and body, you should consider going to a health spa retreat. The best spa retreat should have an array of special spa services that meets your needs. 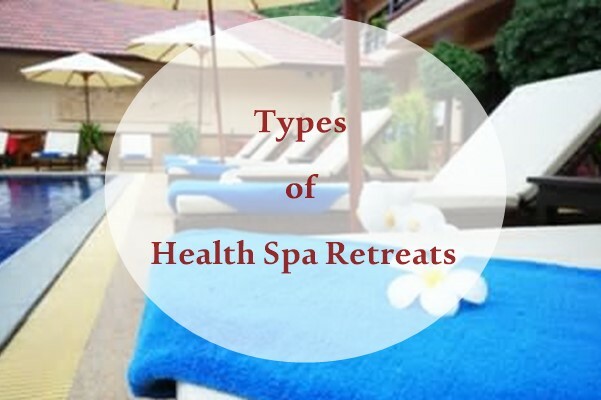 Here are different types of health spa retreats that you might want to try. Many health specialists are now advocating regular detoxification to help flush out toxins that build inside our bodies due to exposure to free radicals and stressful environment. Activities in detox retreats will include detox diet, colonics, acupuncture, exercise, and cleansing rituals. In Ayurvedic detox programs, it begins with pulse diagnosis to better understand the level of toxicity and instability in your body. Your cleansing activities will depend on your body type and information from the pulse diagnosis. It does not target symptoms but rather pinpoints the real causes so that the body can heal itself and regain its balance. For Western detox principle, it is mainly dependent on juice fasting, moderate exercise and diets consisting of raw foods. Whatever detox principles you choose to take up, make sure that it is known to be safe and reputable. Remember, reckless use of colonics and multiple fasting can potentially be dangerous to your health. Wouldn’t you want to relax in a place like this? Health retreats focus more on rejuvenating the health of the clients. Instead of setting appointment with a doctor, you have different doctors who can conduct tests like cardiac stress test, analyze the results, recommend ways to address health issues. Some of these retreats may customize their programs for guests with specific health concerns like heart ailments or cancer. Meditation has the power to boost health by removing tensions in muscles, enhancing blood and circulation, and lessen hormones that trigger stress. Before embarking on a meditation health spa retreat, assess your personal goals for doing so. There are some programs such as in mindfulness meditation where they teach you to concentrate on your breathing and the present moment without any judging. The key to make this retreat work for you is to determine which meditation approach complements well with your attitude and interests. Some vacation getaways may emphasize on extravagant cravings that could result in gaining weight. However, there are spa vacation retreats that can help you shed off those pounds and achieve a great body. A weight loss retreat is recommended to anyone who wants to trim down the fats or those with severe weight problems. Choose a program that will effectively demonstrate healthy habits and effective lifestyle changes. Most health spa retreat nowadays are teaching yoga classes as part of their services. However, going to a yoga retreat will help you practice a variety of advanced techniques. Prior to booking a yoga program, discuss with your program instructors yoga styles that you’ve tried and the level of difficulty you can take. It is recommended that you find a yoga retreat that offers other related workshops like mindfulness meditation, balance and healing practices to rejuvenate your body.